There are a few good rules to follow if you wish to avoid your kitchen becoming infested by pests. Firstly, don’t leave food and scraps out on your kitchen benches for any length of time. As a chef, I am well placed to advise you on wise food preparation methods. Too many people do not clean up as they go when preparing meals. Clutter on your benchtops and on your chopping board invites stress and injury. Then, come the cockroaches, ants and mice. Make wiping down benches and putting away unused ingredients part of your cooking etiquette. In the case of commercial kitchens, we are ever vigilant about constantly cleaning our kitchens to avoid health inspections and customer complaints. It may be helpful to apply the same level of intention to your own domestic kitchen set up. Give your kitchen a thorough cleaning at least once a week, depending, of course, on the volume of cooking done and the size of your family. Twice or thrice a week may be more suitable if you have a lot of traffic going through your kitchen. In the case of restaurants and cafes, we deep clean our commercial kitchens daily. 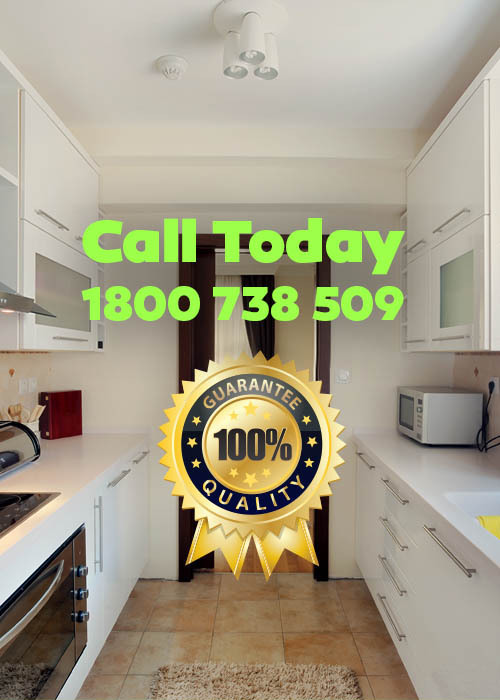 If you find that you have been following this protocol and still have a problem with pests, then it is time to consider the structural condition of your kitchen. You may require proper fumigation of kitchen cabinets and all other storage areas, for more information about proper fumigation of kitchen cabinets you can visit this kitchen renovation website. If you have cracked and peeling surfaces, it is an invitation for pests to make their homes there. It makes cleaning these surfaces more difficult and less effective. You get deposits of detritus in these cracks, nooks and crannies. If you cannot putty fill these cracks and resurface with the appropriate solution or matter, then it may be time to replace your kitchen cabinets and surfaces. Pest control can only really work with structurally efficient kitchens. If you have these places where pests can hide and gather, then they will quickly return to your kitchen. A new kitchen or renovation will remove the prospects for pests. An honest pest control contractor will let you know this, rather than keep taking your money every year or six months. Infestation is not a normal occurrence. To recap: keep your kitchen clean as often as possible, clean up as you go for best results, deep clean your kitchen every week or more often if required. If fumigation of kitchen cabinets is not working for you, check the structural integrity of your kitchen and storage areas, and get a new kitchen if it is too porous to be cosmetically fixed.